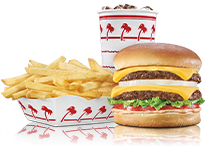 In-N-Out Burger - Monterey Park , CA, 5500 Market Place Dr. . Welcome to our restaurant in Monterey Park , CA. On Market Place Dr., W of Paramount Blvd.